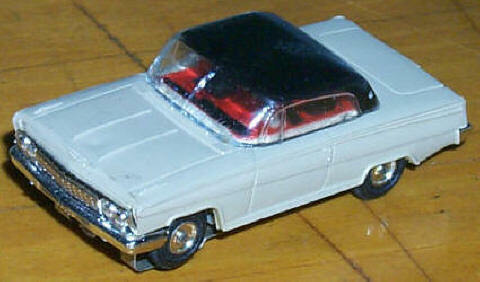 Atlas HO slotcars were produced from 1962 to about 1968. First they came out with the '1200 series' cars with painted one-piece bumpers, and shortly after this they made the '1300 series' cars with chrome plated bumpers. 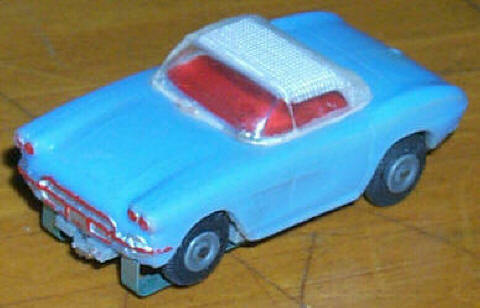 Atlas produced several slot car body styles that Aurora never attempted, and they add a refreshing diversity to a collection. 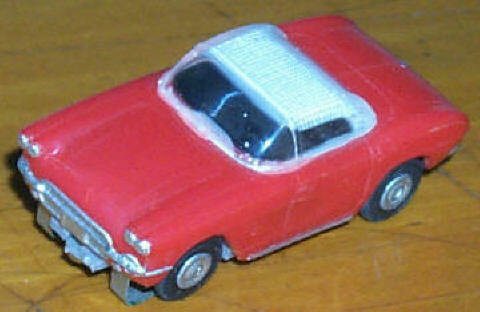 Atlas cars were produced in lower numbers than Aurora's, and they can be much harder to find. Atlas Thunderbird, light yellow/white roof. Near mint condition. Chrome is near mint, and roof shows no wear. Good wheel wells and screw posts. Standard Atlas chassis not in running condition. Seems like motor is weak.